If you need to know where to access your billing and payment information, where to download your invoices or where to see your viewer hours information and storage information, please scroll down for step by step instructions. After you log in, hover over your user icon and click 'dashboard'. 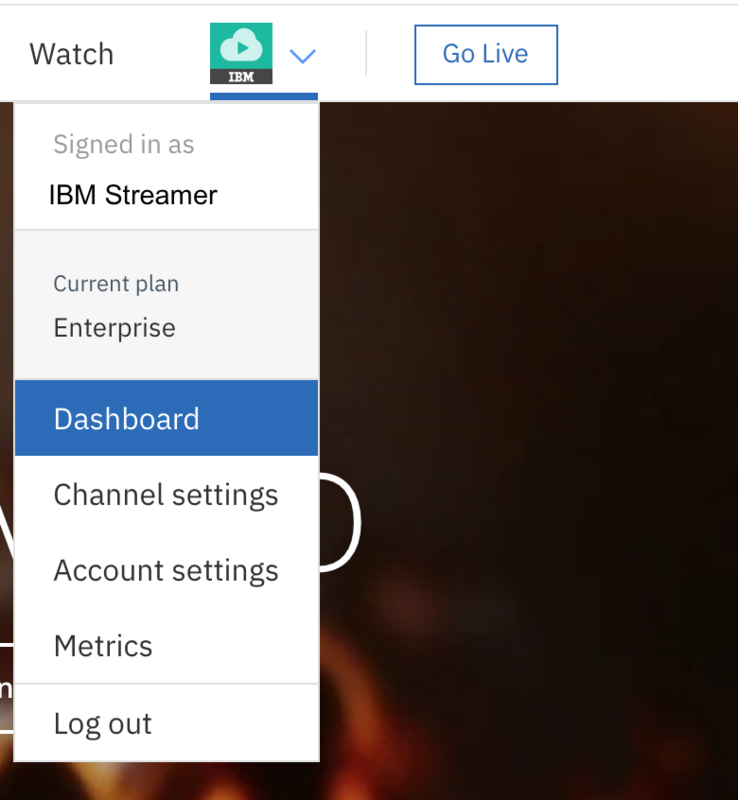 From your dashboard, clicking on 'Account' and the Subscription tab, will bring you to your Pro Broadcasting Subscription page. 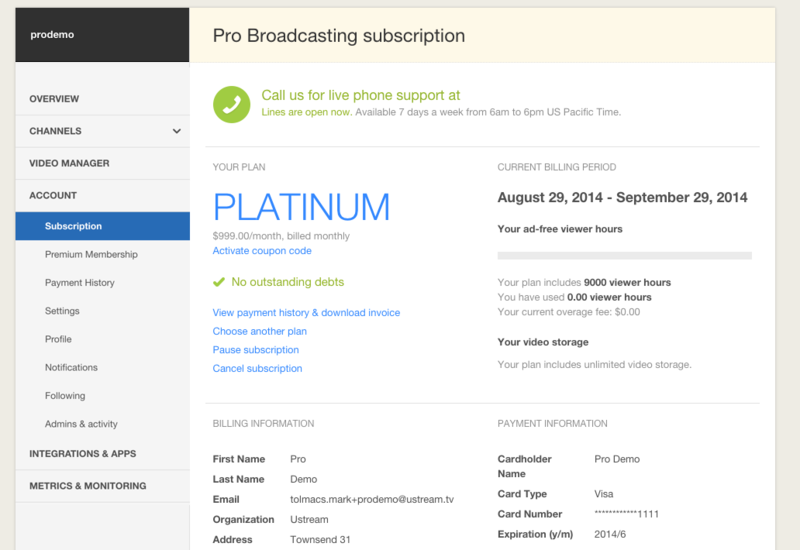 This page includes your current plan level, your billing dates, your current viewer hours used, and links to change your Pro Broadcasting status. The Payment History link will bring you to a list of your payments, with the ability to download invoices from your account, or make payments on open invoices. Pro Broadcasting plans are set to automatically renew at the end of your billing period/beginning of your next billing period. If you are still being charged for services, this means you still have an active Pro Broadcasting account. If you would like to cancel your subscription, please see the following article that explains how to cancel here. "Why won't you accept my Credit Card?" What are these overage charges?